June 12, 2017  25 years after Death Certificate, the OG reprises his role as rap's most potent race critic. August 14, 2015  The original members of N.W.A produced the film, which opens nationwide Friday. Like the group's story, the making of Straight Outta Compton — which took 11 years — is filled with drama. December 4, 2007  N.W.A wasn't the world's first gangsta rap act. And it wasn't the baddest. 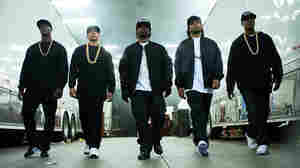 But the group's remarkable debut album Straight Outta Compton, released 20 years ago, convinced many people otherwise. January 10, 2005  The new film Are We There Yet? 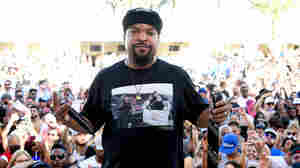 stars Ice Cube as a man so eager to get close to a woman that he offers to travel many miles to reunite her children with their mother. 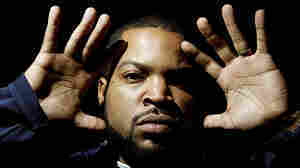 The film was made by his production company, Cube Vision, which also developed Friday, as well as Barbershop. September 18, 2002  Tavis Smiley talks with with rapper, actor and entrepreneur Ice Cube.